Click on the right (>) arrows for the Quality and Quality Gold designs. Achieving these standards requires clear governance, community leadership by the council, engagement with the community, performance reporting and accountability for good or poor performance leading to continuous improvement. Communities need to see objectives get set in the interests of the community, solutions and services implemented using local knowledge, the results of the implementation measured against objectives, value for money reviews and the assesment of positive outcomes for the community. Providing openess, transparency and accountability in local government requires the structuring and publishing of large amounts of information in a way that can be easily and quickly understood whith clear and open mechanisms for feedback to local government regarding all aspect’s of performance. This needs to be balanced with the need for local government to carry out its duties and obligations without getting bogged down in dealing with information requests. The large amount of information that this implies and the accessibility of the information to everyone in the community means that the information needs to be delivered and available electronically via a website which is designed to handle this information. 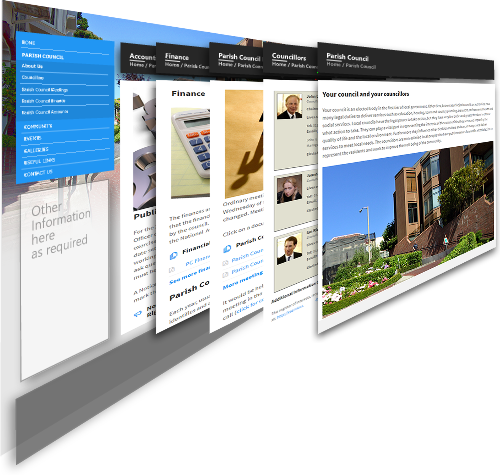 We have a website design approach to match the structure of the information required to underlie the activities and publishing requirements of the best practice implied by the Local Government Award Scheme. Depending on the Award level (Foundation, Quality or Quality Gold) there are increasing requirements for publishing information on the intentions, actions, results and evaluation of all council activities. The complexity of the activities, governance, reporting, community engagement, efficiency reviews, standards, policies etc mean that there are many ways that a council can choose to structure information about its activities. 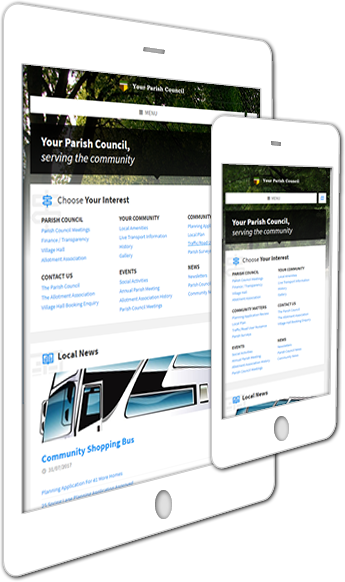 We have a solution which we feel maximises the power of the website to inform, keeps the updating simple and not least, easily demonstrates to the Local Council Awards Scheme that the majority of the award criterion are being met. The high level sections relating to this approach are shown below and we can explain more detail to you at a meeting to discuss your requirements. 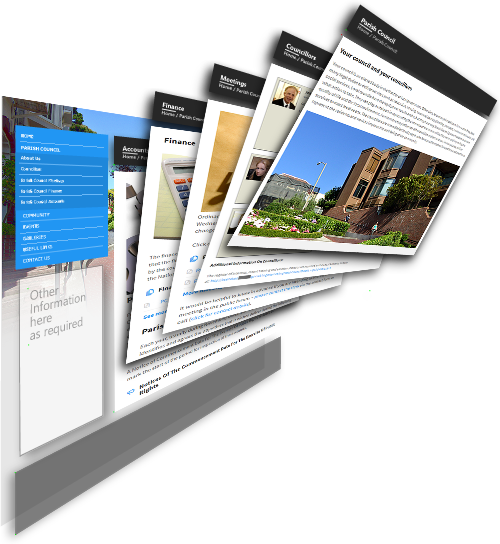 The Home page has an additional set of links that are often described as “Your area of interest” which provides visitors with quick links to regularly used pages and information that you want to give a high prominence.